Can't get enough gaming stories during the day? Want to get even more? Are you a big fan of Mantic games? Well, this is the story you've been looking for. 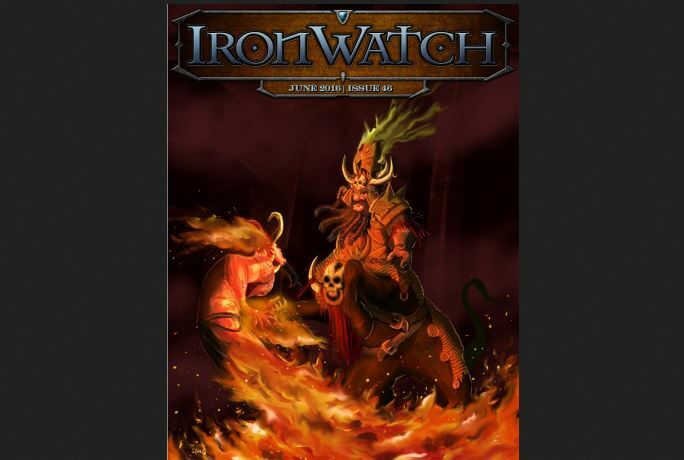 Issue 46 of Ironwatch, the Mantic fanzine is available now for your downloading and reading pleasure. Learn how to sculpt your own titanic dwarven earth elemental, find out about what dark secrets Rylor Ing discovered on his Deadzone mission, supplement your Kings of War armies with custom wound counters and further unit selections, and much more in this month's issue. As always, it's free to check out. So why not?